The 2015 OMLA Summer Foray was held in Brown and Highland counties. Brown County lies wholly within the area of Ordovician bedrock and most of the county was glaciated during Illinoian times. 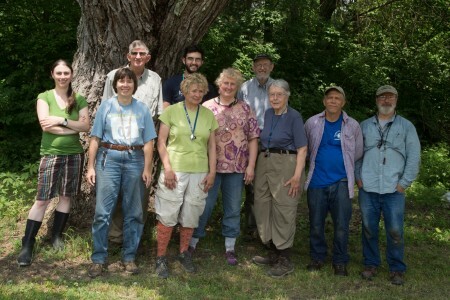 Ten OMLA members met on the morning of June 13th and visited the Indian Creek Wildlife Area. The area collected along Indian Creek contained young mixed hardwood forest, mainly white ash, American elm, sugar maple and box elder. A fairly dense understory of bush honeysuckle was present. OMLA Spring/Summer Foray to Brown County. In the afternoon the group traveled to the Grant Lake Wildlife area. This area contained a more open hardwood forest of sugar maple, white ash, oaks and hickories. Several persimmon trees in the parking area had rich lichen floras. The next morning (June 14th) the group traveled to the Miller Nature Preserve in Highland County. This area is in Silurian age bedrock and has been glaciated during the Wisconsin time. The preserve lies along Rocky Fork Creek and contains fairly mature mixed hardwood forest. A moist to dry dolomite cliff along the creek provided good habitat for mosses. 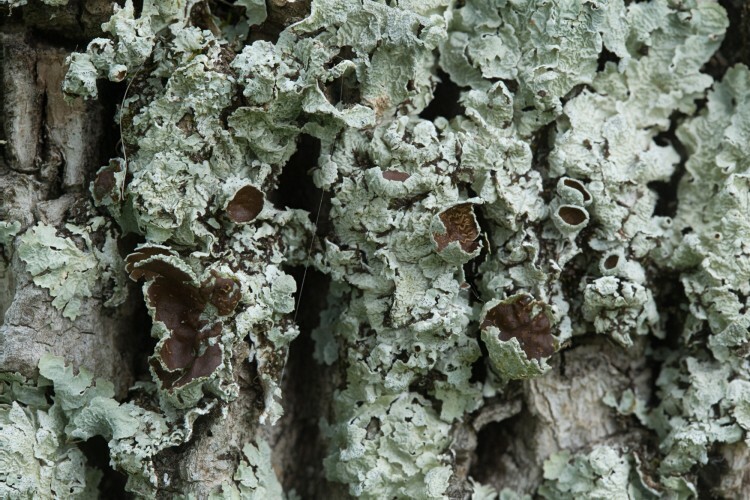 A total of 31 species of lichens were recorded, 28 for Brown County and 18 for Highland. Of these, 6 were new county records for Brown and 1 for Highland. One species of note, Usnea mutabilis, was new for Brown, bringing the total counties for this species to 10. All species of Usnea are becoming more common in Ohio due to improved regional air quality. Punctelia bolleriana is a lobulate foluliose lichen. Forty-nine species of mosses were recorded for Brown County, of which 44 were new county records. All three species of liverworts collected were county records. 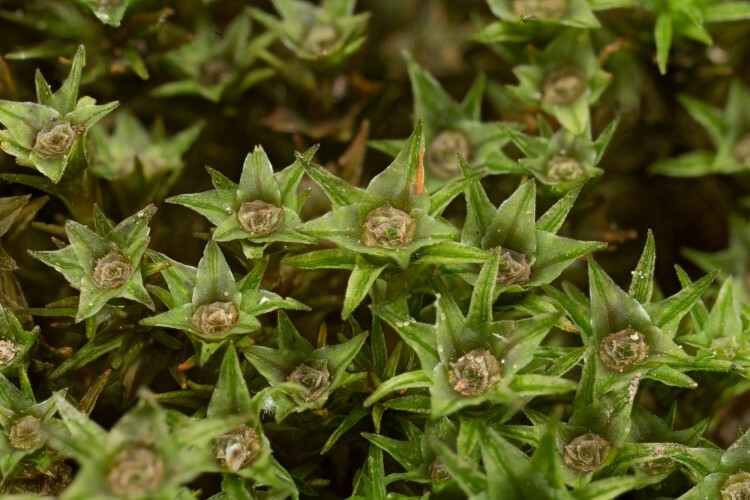 Unusual mosses collected in Brown County include Trematodon longicollis. Previously, this species was known from Adams, Pike, Jackson and Hocking counties. Pleuridium subulatum, although not rare in Ohio, is infrequently collected. Atrichum angustatum is a robust cushion moss. The male plants develop splash cups. Our brief stop at the Miller Preserve, Highland County, yielded 19 species of mosses, 6 of which were new county records. Brachythecium rotaeanum and Fontinalis hypnoides are unusual for Ohio. For further information about this most excellent foray, including moss and lichen species lists, look in the December 2015 volume of the Association’s newsletter, OBELISK.